Ranveer Singh is being trained in Dharamshala for '83 by Kapil Dev and Balwinder Singh Sandhu. He posts a clip from his training session and receives a lovely comment from wife Deepika Padukone. 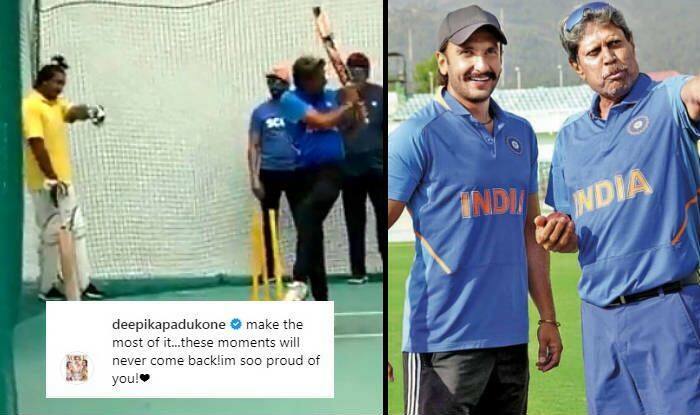 Actor Ranveer Singh has been training under cricketers Balwinder Singh Sandhu and Kapil Dev for his next film titled ’83. The actor is playing the role of legendary Indian skipper who led the cricket team in the 1983 world cup tournament. For the same, he is learning all the tactics of the game and paying attention to Kapil’s style of cricket. 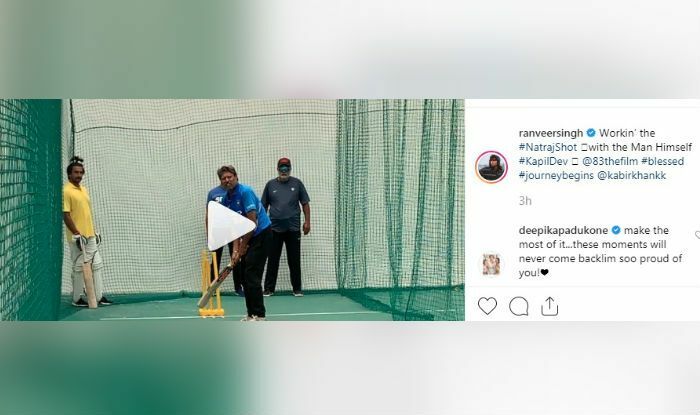 Ranveer is currently learning the famous ‘Natraj shot’ of Kapil Dev and his latest Instagram post is proof of the same. ’83, directed by Kabir Khan, is the story of India’s first cricket world cup win. The film has Ranveer playing the lead role while actors Ammy Virk, Hardy Sandhu, Pankaj Tripathi, Saqib Saleem, Tahir Raj Bhasin and Chirag Patil play the roles of other cricketers. The film is slated to hit the screens on April 10, 2020.